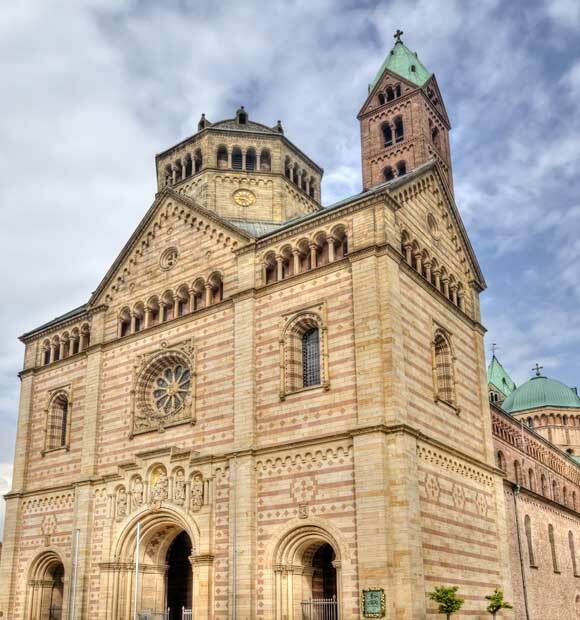 Germany is a country rich in both waterways and heritage and a river cruise is a perfect way to experience both and something which makes for a truly memorable holiday. Indeed, the country is one of the most popular with river cruisers and with good reason. 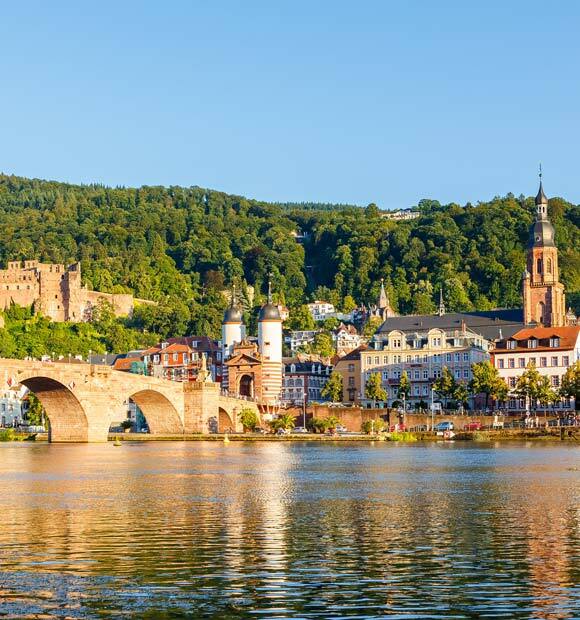 It’s home to one of the world’s most famous and scenic rivers, the Rhine, which acts as the perfect showcase for some of Germany’s most noted areas of natural beauty along the Rhine Valley. 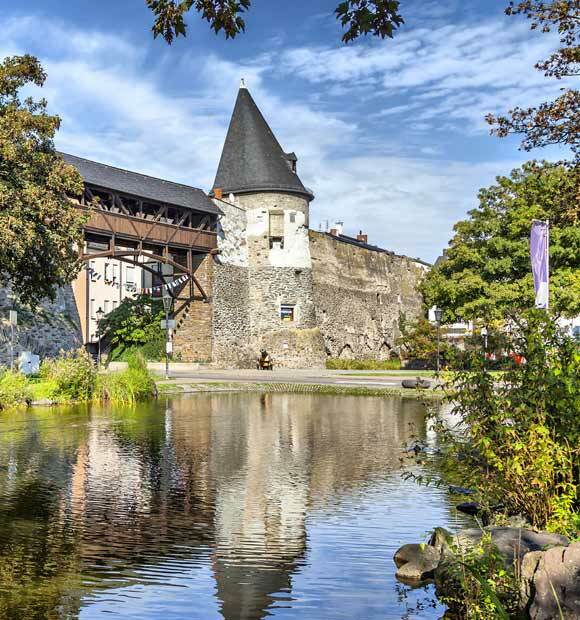 The Main is possibly the Rhine’s most well-known tributary and lies entirely in Germany, meaning it’s a great way to explore the country’s history. 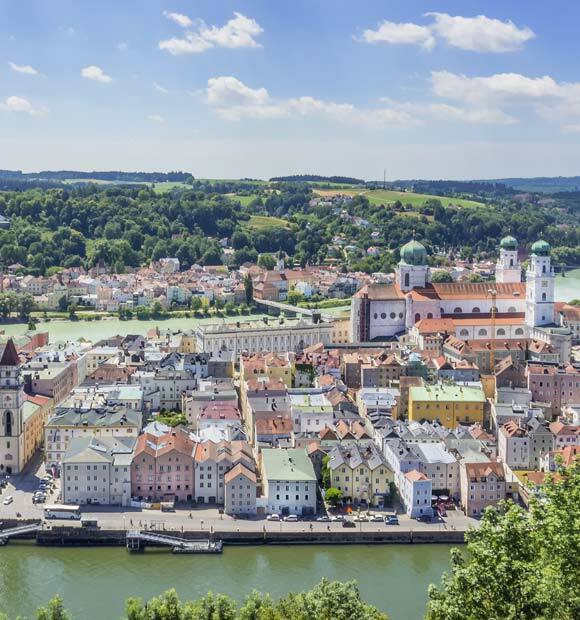 It delivers an authentic taste of the Europe of old, a voyage through the Bavarian heartland and the chance to explore some truly memorable towns and cities. 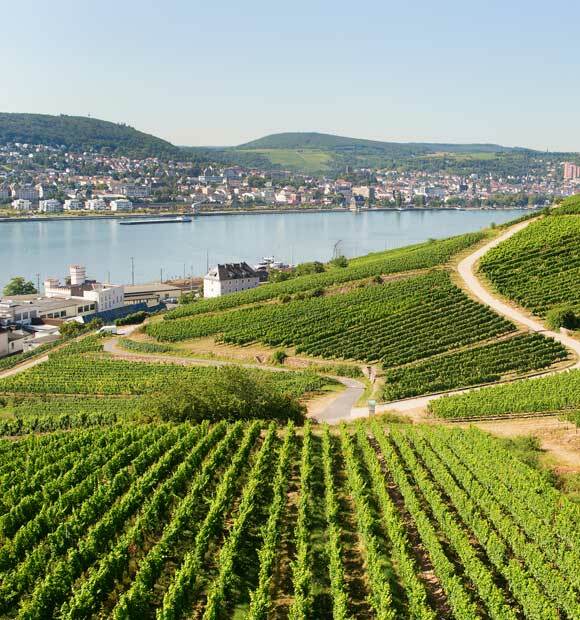 Another Rhine tributary is the Moselle, which offers the perfect laid-back German river cruise experience and is a must for wine-lovers, passing as it goes through one of the country’s celebrated wine-growing regions. 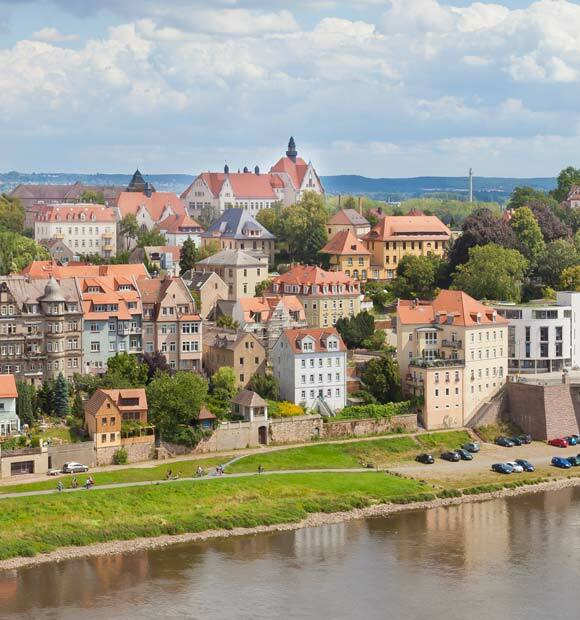 The Elbe is one of Europe’s major rivers and the perfect way to see what Eastern Germany has to offer, including the beautiful region of Saxony and the chance to explore the country’s historic capital, Berlin. 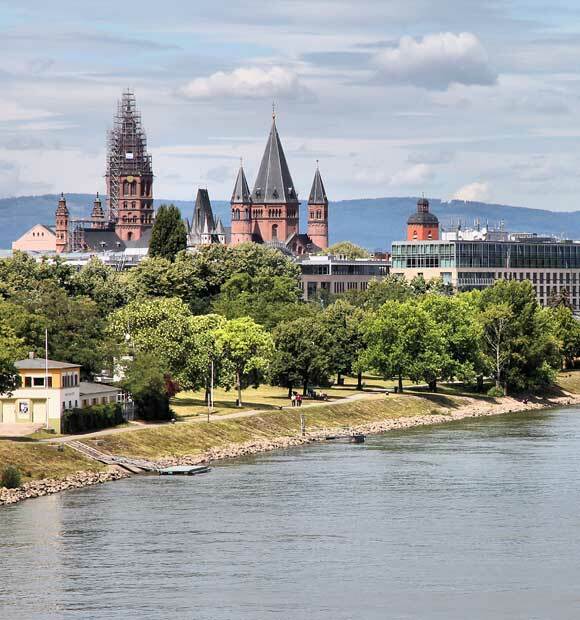 At over 760 miles long, the Rhine is one of Europe’s key rivers, winding its way through numerous countries and their history. It begins its journey high in the Swiss Alps and continues across Germany before ending it in the Netherlands. 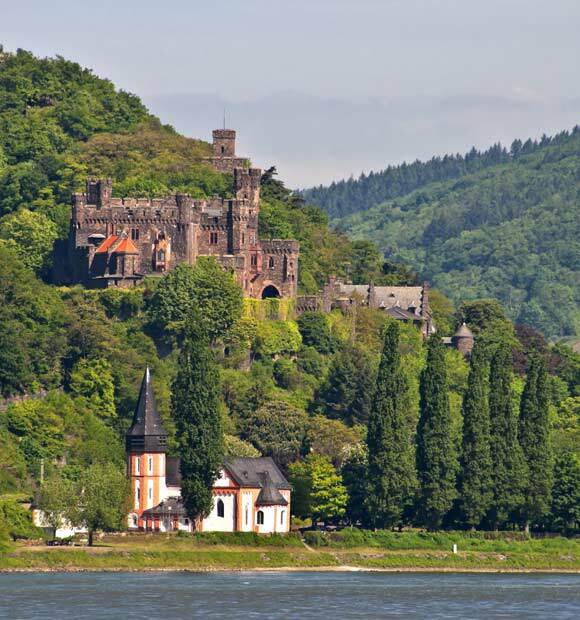 German river cruises are a great way to explore the river’s most picturesque area – the beautiful Upper Middle Rhine Valley which is a UNESCO World Heritage Site. 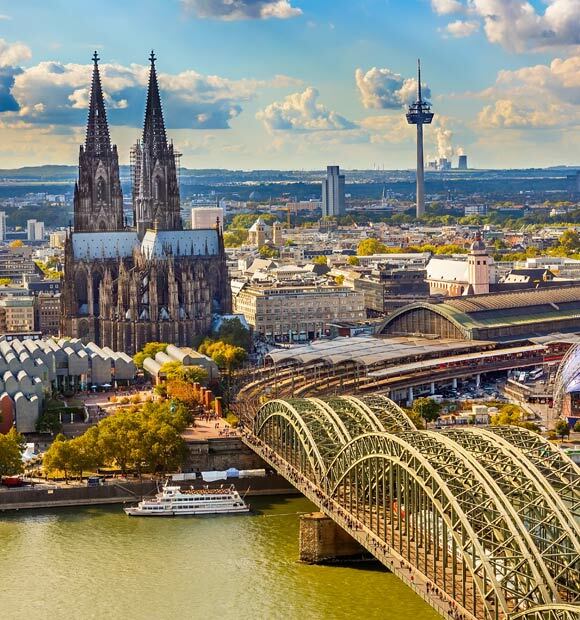 German Rhine river cruise highlights include one of the country’s most famous cities, Cologne. 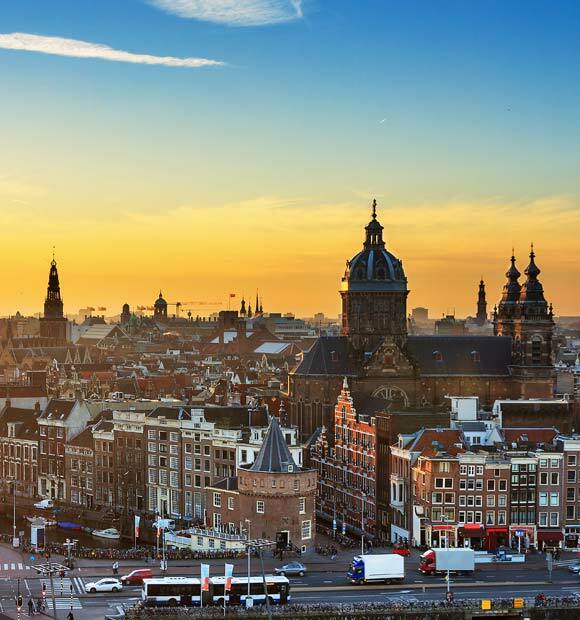 A city tour excursion will reveal numerous architectural treasures, most notably one of the world’s largest and most beautiful cathedrals, The Dom. 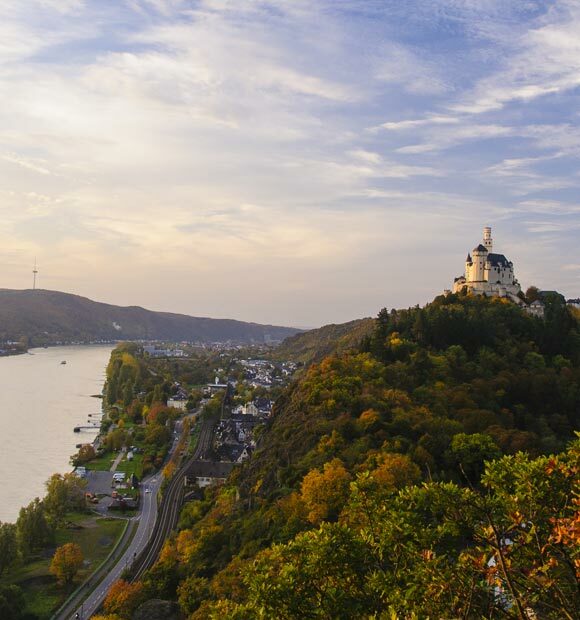 The Rhine offers a great way to see some of Germany’s most splendid castles and a stop at Koblenz, where this majestic river meets the Moselle, gives you the chance to explore one of the finest, the 700-year old Marksburg Castle. 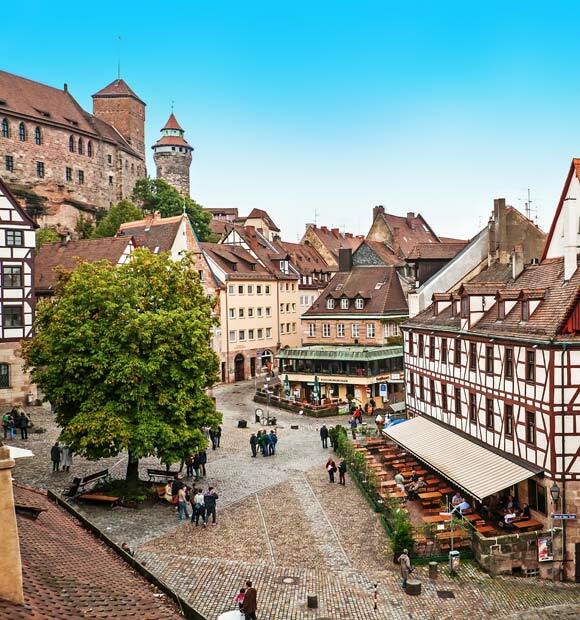 Rudesheim delivers plenty of picturesque village charm and lies at the heart of the country’s Rheingau wine region, while Heidelberg is another popular port and home to the oldest university in Germany. 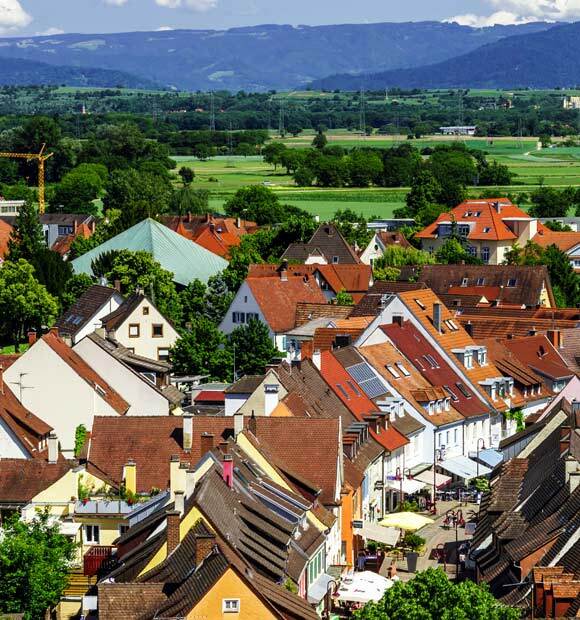 The country’s Black Forest is one of its national treasures and Breisach marks many Rhine river cruises’ entrance into this truly majestic region. Some itineraries also offer a taste of France with a stop at Strasbourg, the official seat of the European Parliament. 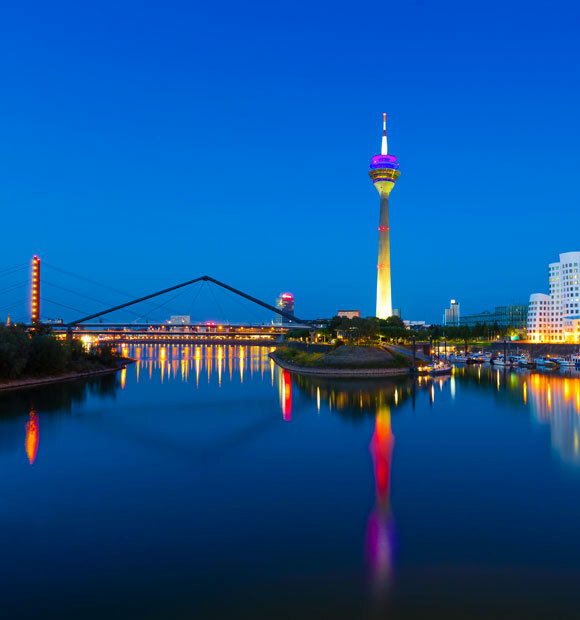 A tributary of the Rhine, the Main has formed part of Europe’s largest continuous waterway since 1992, when the completion of the Main-Danube Canal connected it with the Danube. 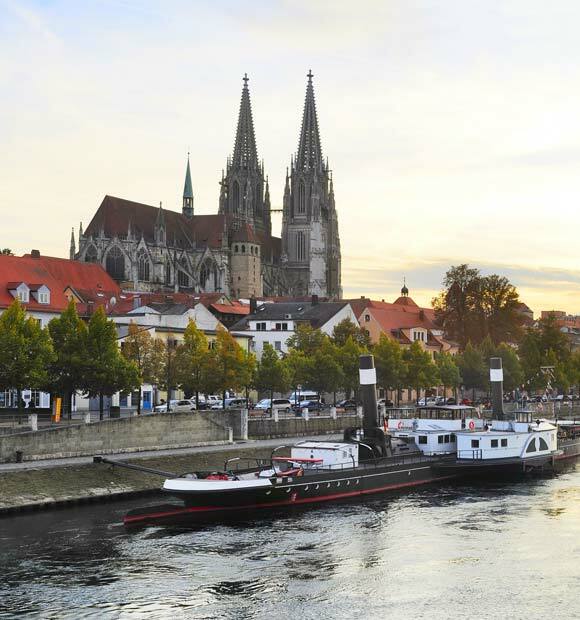 A number of longer European river cruise itineraries explore the entire length of this 2,200-mile waterway, but the Main itself boasts a number of memorable sights and offers a fascinating journey through Germany’s history. 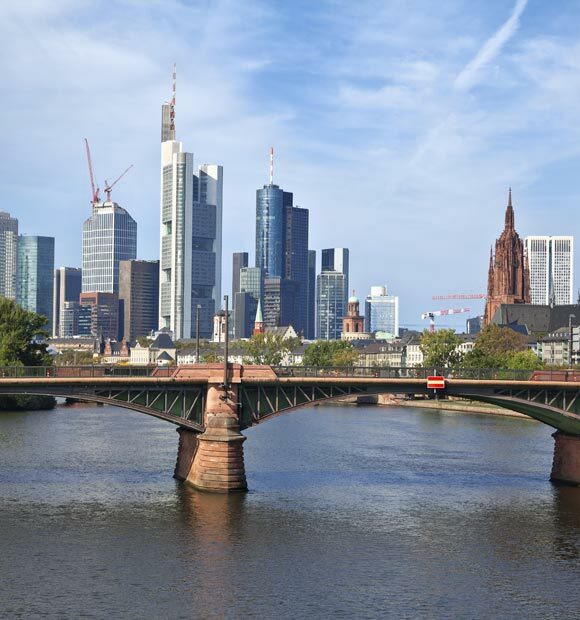 Frankfurt marks the start of many Main river cruises and it’s a place where old and new sit side by side, a fact which is best evidenced by scaling Main Tower to take it all in. Don’t miss the historic city hall and the beautiful botanical gardens. 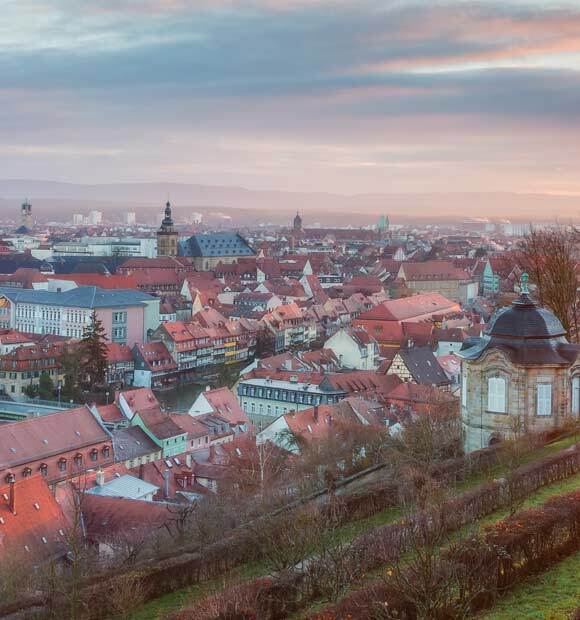 Wurzburg and Rothenburg both offer a taste of northern Bavaria, the former being home to the Baroque Bishop’s Residence and the latter offering a rich medieval heritage and some splendid architecture. While there’s no doubt that trade benefitted from the completion of the Main-Danube canal, it also meant that future river cruisers would be able to explore even more of Germany by the river. 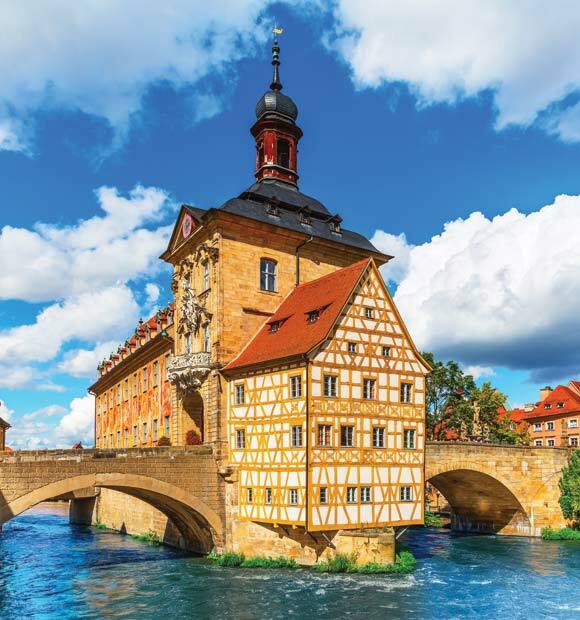 Bamberg marks the point where it begins and is a fascinating UNESCO World Heritage Site, thanks to its wealth of historic buildings, one of the most notable being the city hall, built on a small island in the river and connected to both shores by a bridge. Nuremberg is cemented into German history thanks to it being the location of the infamous trials of the same name which followed the Second World War. 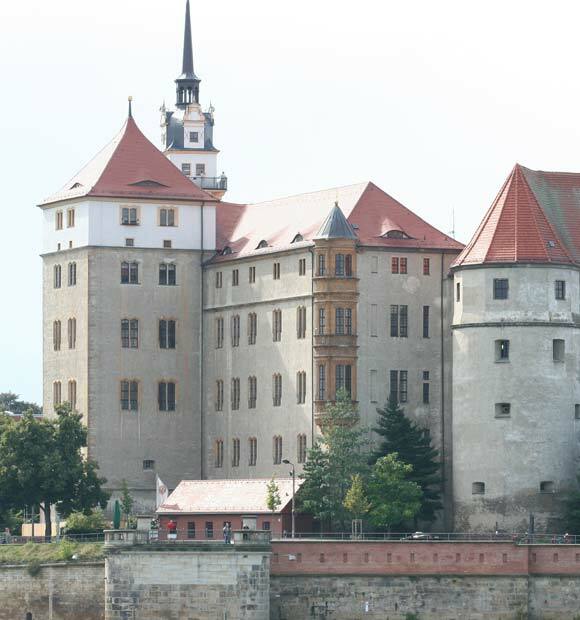 You can explore this part of the city’s past with a visit to the Palace of Justice and Nazi Rally Grounds, but Nuremberg’s a city with a history which dates back much further and has a wealth of historic buildings to experience, such as Nuremberg Castle and the beautiful St Lorenz Church. 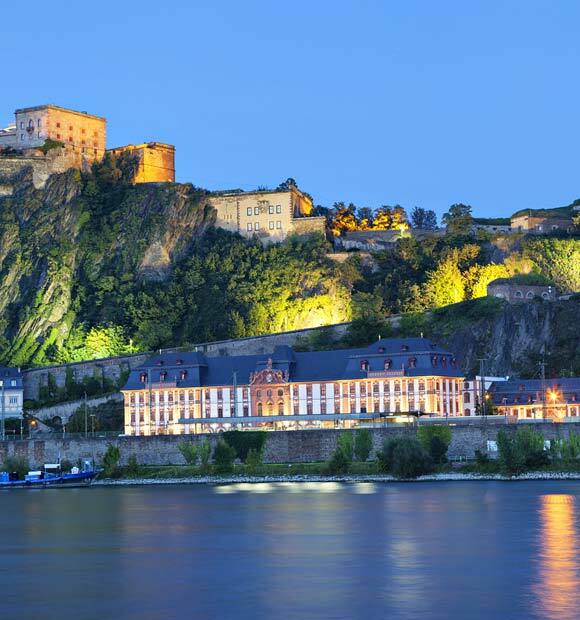 The Moselle is one of the Rhine’s tributaries and after beginning its journey in France, it flows through Luxembourg and into Germany. 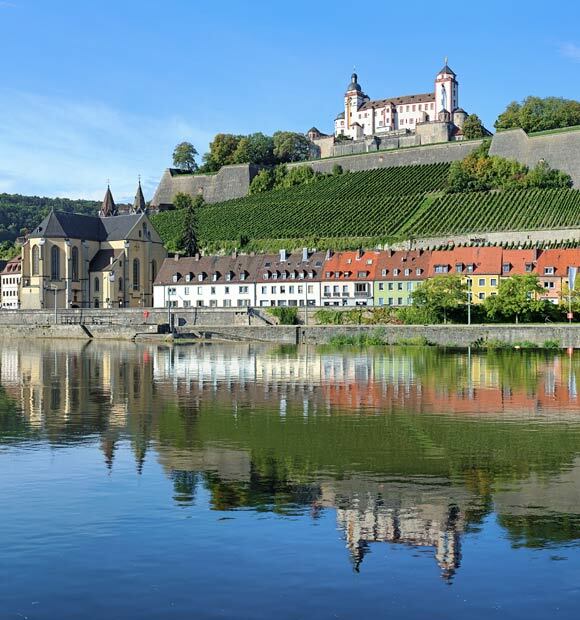 A Moselle cruise offers an idyllic river cruise experience and the chance to drink in one of Germany’s numerous wine-growing regions . 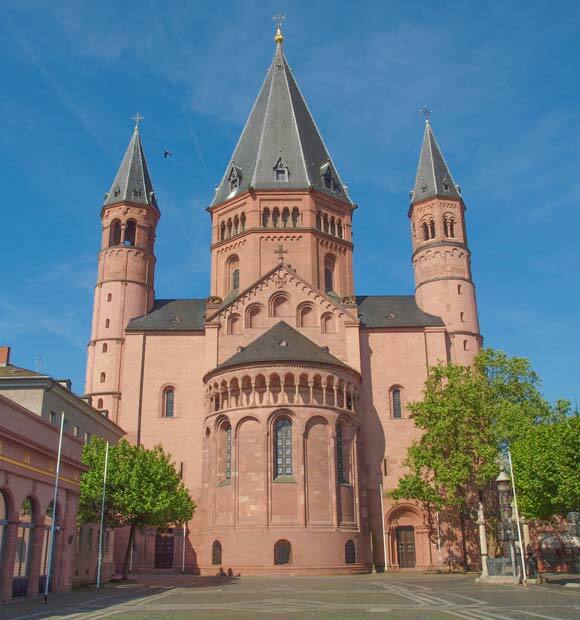 Many Moselle cruises begin in Trier, the oldest city in Germany. One key relic from its past is the Black Gate, the only remaining part of this city’s ancient Roman walls. 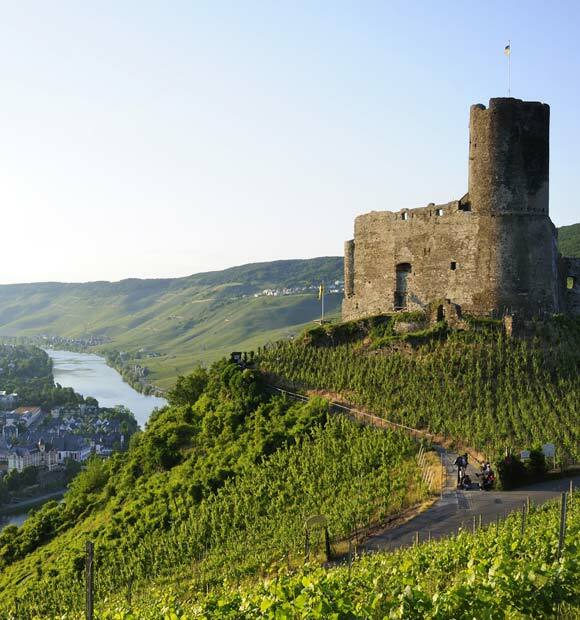 Bernkastel is situated in the beautiful Moselle Valley and as well as taking in the gorgeous scenery as you approach, you’ll be able to disembark and explore this quaint town at your leisure. 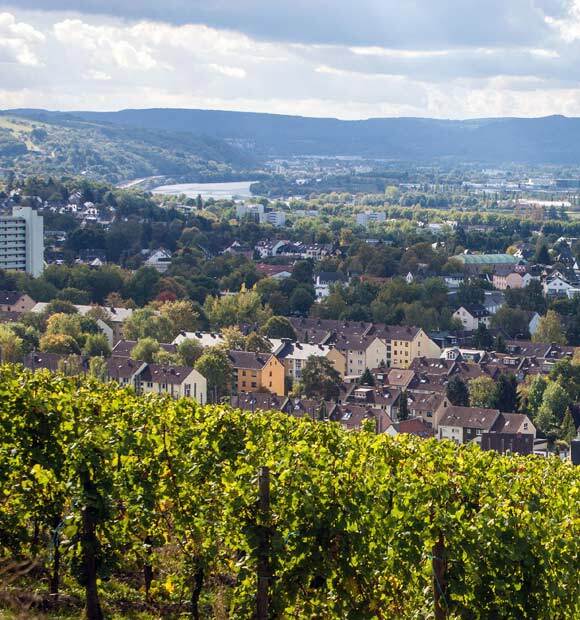 Being that the town is situated in one of Germany’s key wine-growing regions, a number of river cruise lines also offer wine-tasting excursions from here. 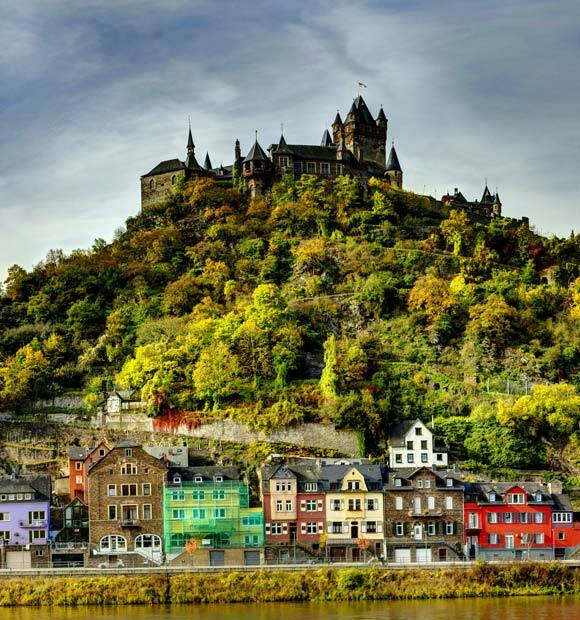 Cochem’s celebrated castle offers some fabulous views of this beautiful region as well as a fascinating tour, while Koblenz marks the point where the Moselle joins the Rhine. 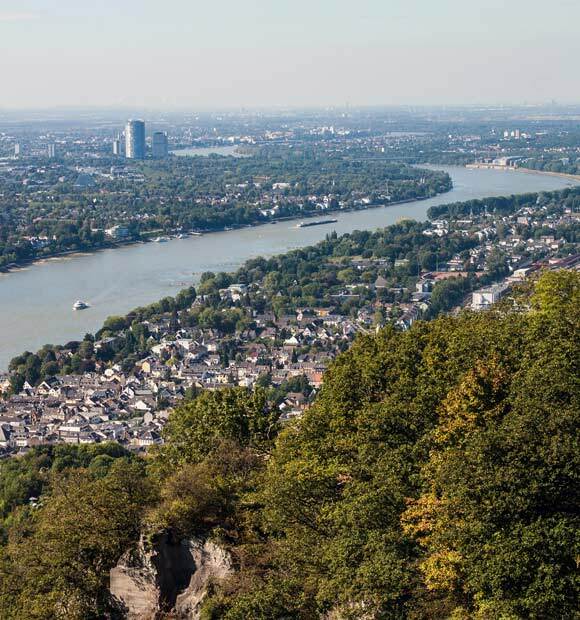 Indeed, you can visit Deutsches Eck, the symbolic meeting point of these two rivers during your time in Koblenz. 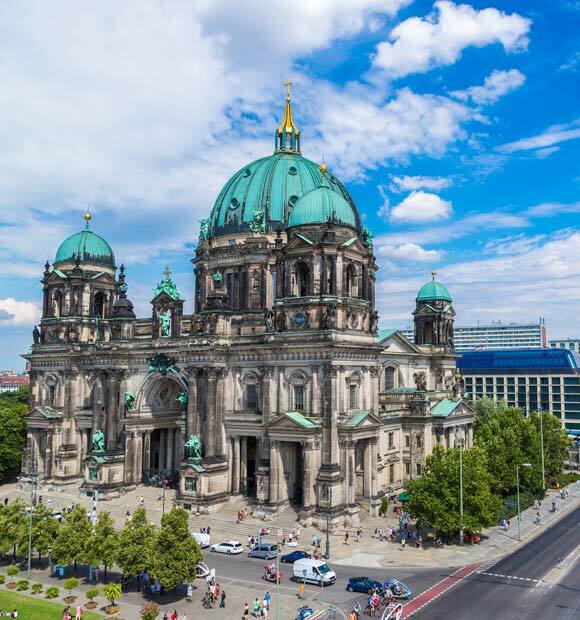 The perfect way to experience eastern Germany, an Elbe river voyage offers you the chance to see the country’s capital too, because although it doesn’t sit on the Elbe, Berlin acts as the point of transfer either at the start or at the end of your voyage. As well as the famous Reichstag, you can visit the Berlin Wall memorial and a wealth of museums. 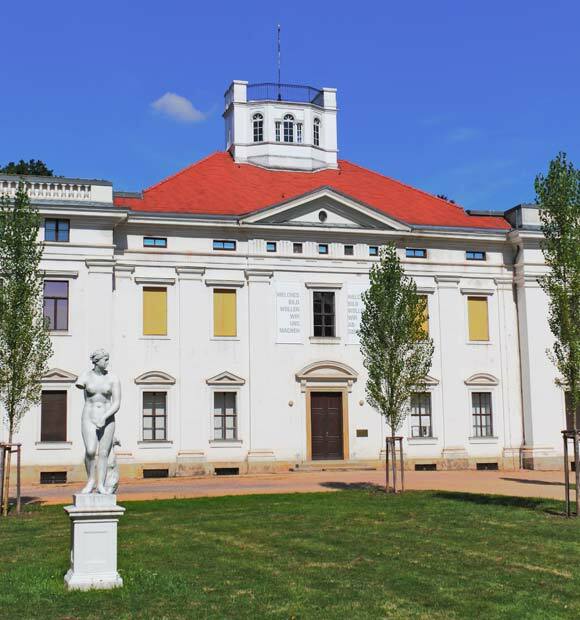 Magdeburg is the port where many Elbe cruises begin, while Dessau offers the chance to explore Worlitz Park, the first landscaped garden in Germany, complete with English-style country home. 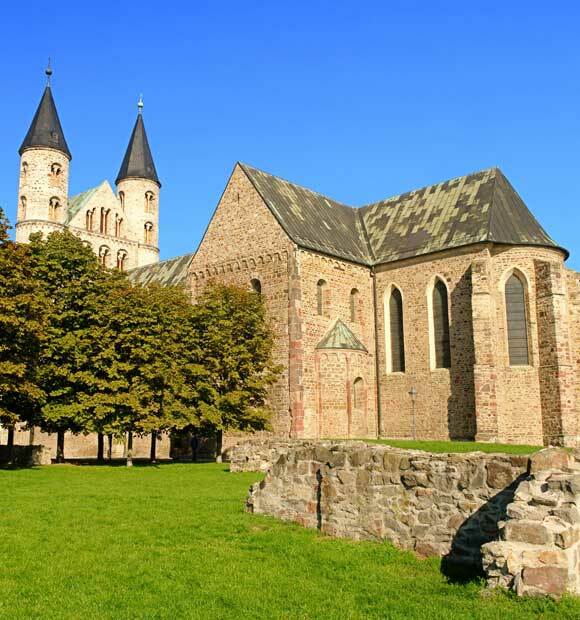 Wittenburg is where you’ll be able to explore the past of one of the region’s most famous historical figures, Martin Luther. 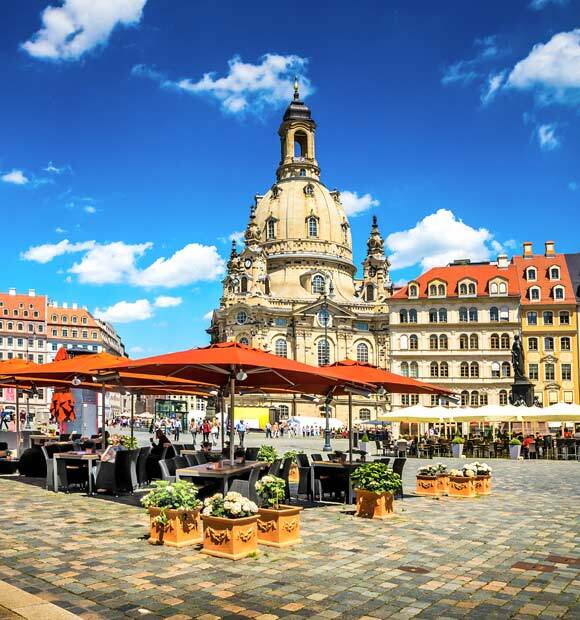 Dresden is another jewel in Germany’s historic crown and indeed, it’s home to the celebrated Green Vault, where many of the treasures and relics of Saxon monarchs-past are housed. 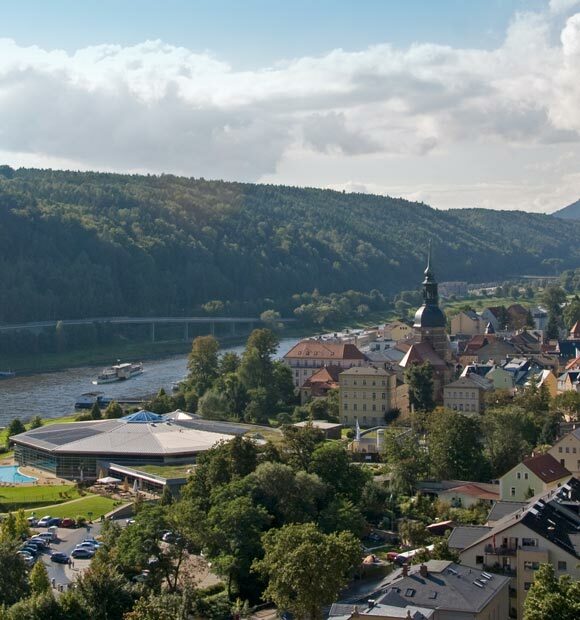 Before the Elbe crosses into Eastern Europe it passes through the beautiful Saxon Switzerland region, where breathtaking rock formations and enchanting spa towns ensure a truly memorable cruise.